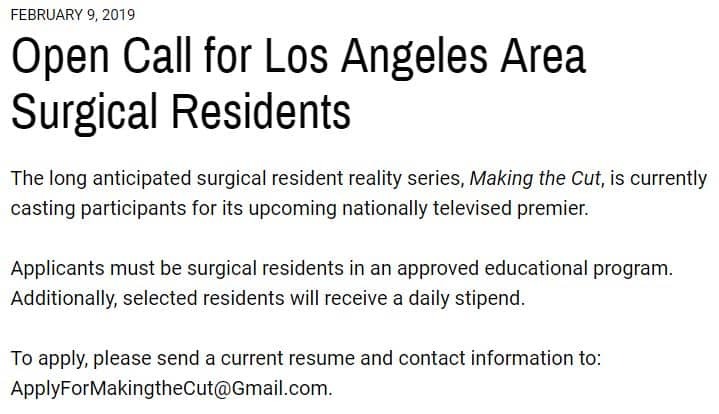 This notice appeared on a general surgery news website in early February. I don’t know who has been long anticipating this, but I’m pretty sure it’s not people on medical Twitter. 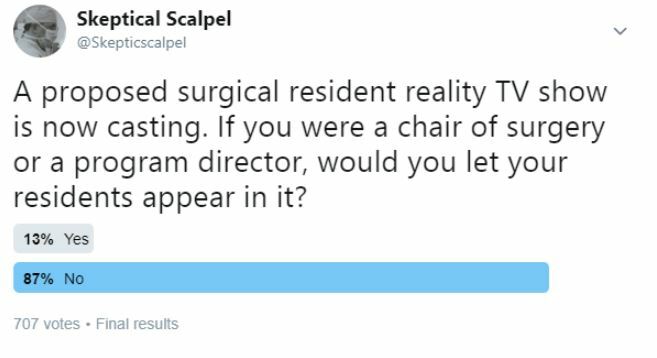 My informal, nonscientific Twitter poll garnered 707 votes with 87 percent of those responding saying they would not allow their residents to participate in a reality television show.